Tokyo Sky Tree viewed from Asakusa. 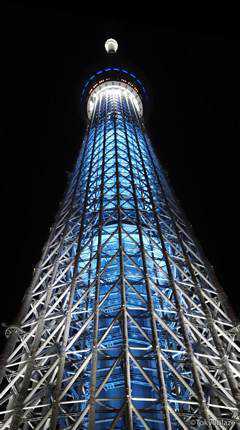 Tokyo Sky Tree at night. 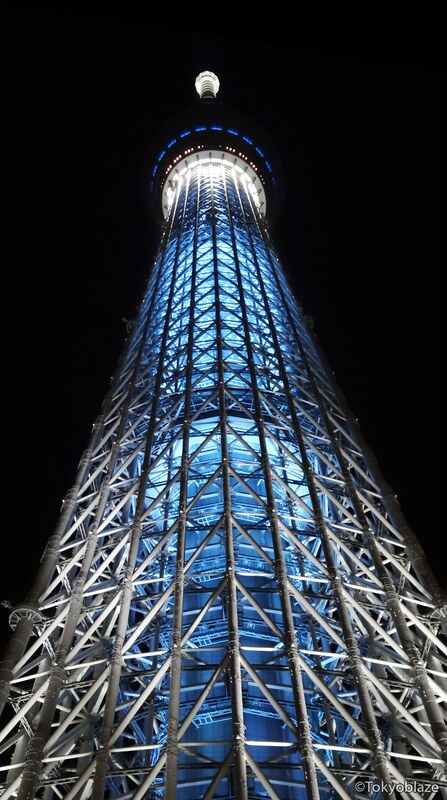 The tower can light up into different colors; this lighting theme is called Iki(粋). This 634-meter broadcasting tower is Tokyo’s newest attraction and the area surrounding the tower has seen quite a lot of development all thanks to the Sky Tree. On the tower are two observation decks that will allow you to get a stunning panorama view of Tokyo on clear, sunny days. It will set you back 2000 yen to get to the first(lower) observation deck and an additional 1000 yen to get to the second(upper) observation deck. Expect some waiting if you are planning to go on holidays or weekends without a reservation. The tower is least crowded in the early hours of weekdays. At the tower’s base is a large shopping area full of interesting souvenir shops and fancy restaurants called Tokyo Solamachi(東京ソラマチ). There is also a planetarium and an aquarium at the base of the tower. One of the tower’s main purposes is to transmit and relay television and FM radio broadcast signals. 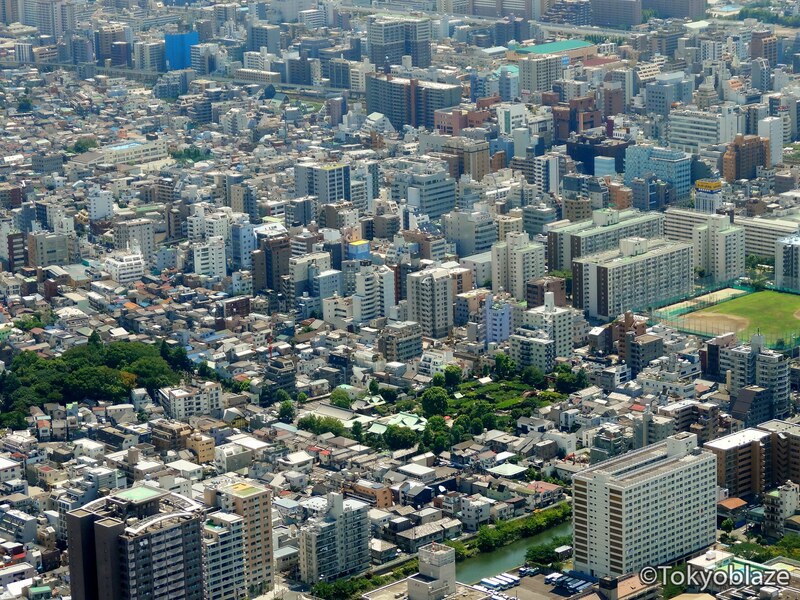 That was once done by the Tokyo Tower(333m), a tower that now, does not give full coverage of the area because of the many new high-rise buildings. 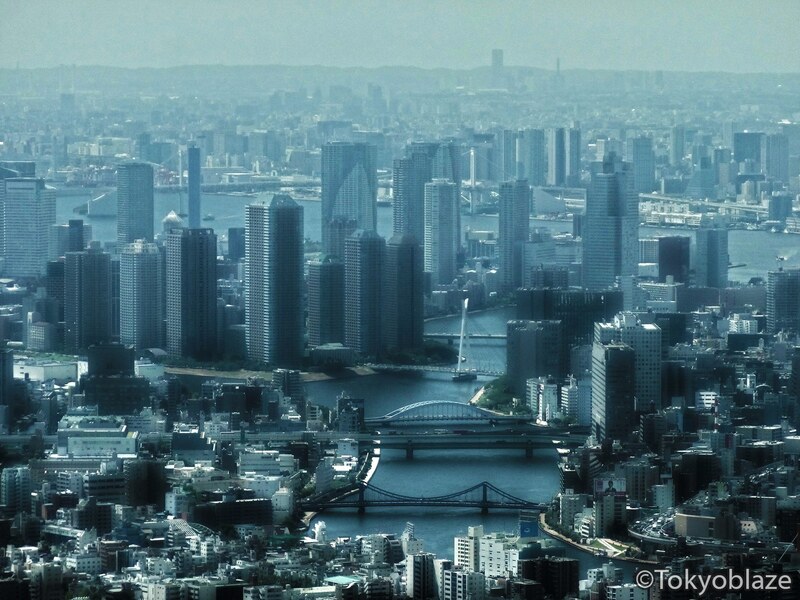 However, Tokyo Sky Tree has not yet completely replaced Tokyo Tower as the latter still transmits some signals. 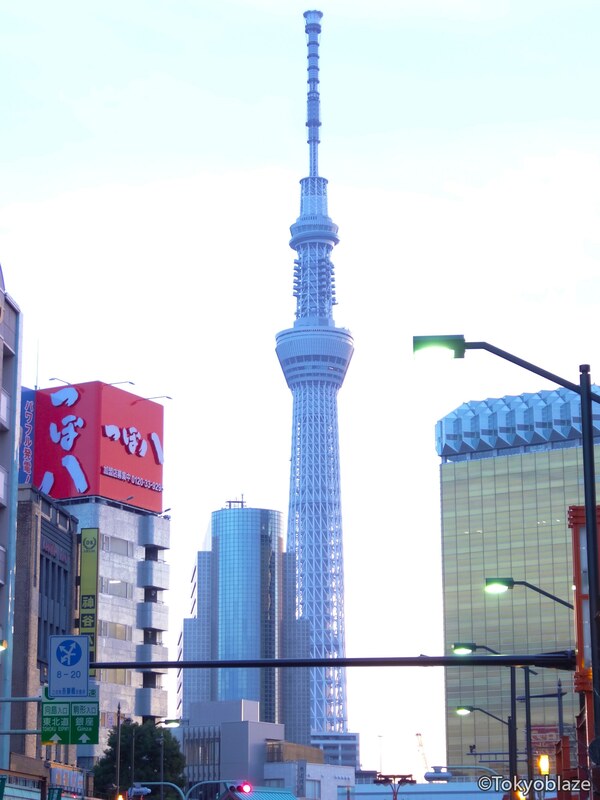 Access to the tower is easy as there are two stations nearby; Oshiage(Skytree) Station and Tokyo Skytree Station. However, be sure not to get the two mixed as they both have “Sky Tree” in their names.